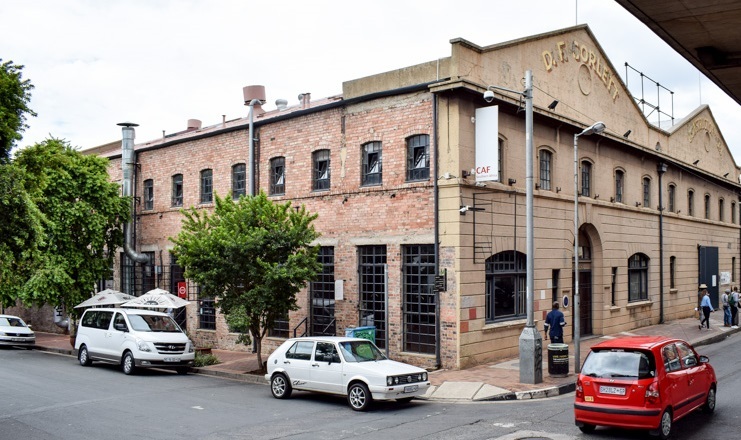 On Monday April 15 seven buildings and one hundred sectional title residential and commercial units in the fashionable Maboneng Precinct owned by property developer Propertuity go on sale at an eagerly anticipated public auction. 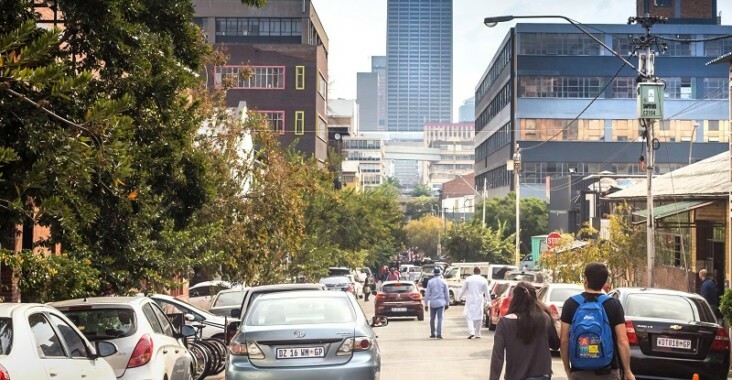 One of Joburg’s greatest regeneration stories, Maboneng was originally a gritty industrial warehouse and factory district with the somewhat forgettable name of City and Suburban. The neighbourhood’s remaking began in 2009 with Propertuity’s launch of the pioneering development Arts On Main (home to a number of artist studios including William Kentridge’s groundbreaking Centre for the Less Good Idea as well as the weekly Market On Main), a building which spearheaded Propertuity’s redevelopment of scores of other once dilapidated buildings in the neighbourhood. 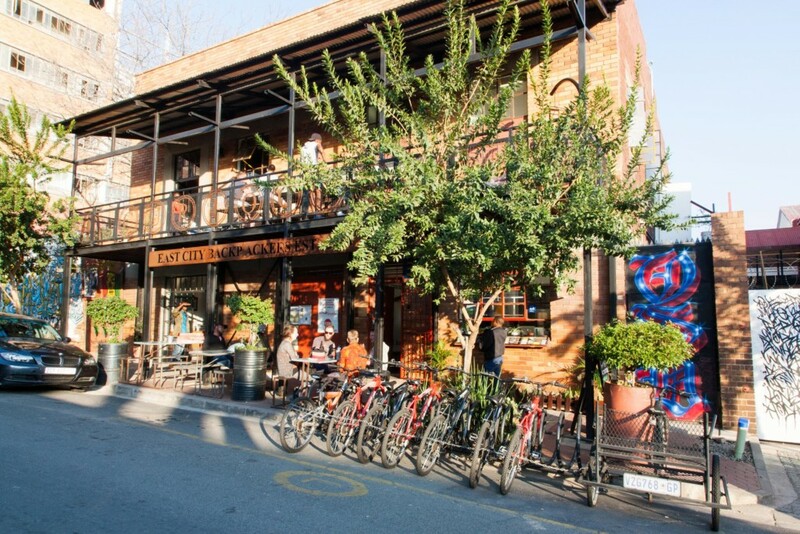 Fast forward to today and what is now known as the Maboneng Precinct has spread out across a dozen adjacent blocks and has been frequently touted in the international press as “one of Africa’s coolest neighbourhoods”. Early pioneers such as The Bioscope independent cinema, Pata Pata cafe and bar, the POPArt theatre, the award-winning Curiocity backpackers hostel and art gallery and print workshop David Krut Projects have continued to thrive in the neighbourhood, joined by dozens of other small entrepreneurs that have shared in Maboneng’s collective founding vision of what urban regeneration in South Africa can look like. The sale of Propertuity’s sectional title properties follows the liquidation in September 2018 of the developer which was originally responsible for creating the Maboneng Precinct. Propertuity’s business model was to transform the buildings it bought in the area into stylish retail, business and residential developments and then sell them off to private buyers and other property companies as sectional title units. The company’s assets now belong to investors RMH Property who have decided to put the remaining properties in the portfolio which hadn’t yet been sold, up for auction. According to Stuart Thomson, director of the Maboneng Civic Association (MCA), almost all the stock in the auction had already been listed for sale on the market for several years. “The Propertuity sales department were unable to drop the price of their stock of properties below company target thresholds. The liquidators are not bound by these targets and the sales price can now find the true market value on the fall of the hammer”. The auction represents Propertuity’s final stock of buildings in the area (which is said to be less than 10% of the neighbourhood), with the majority of the company’s Maboneng properties already having been sold long before they went into liquidation. Meanwhile, the individual sectional title units on sale include several parking spaces, storage spaces and commercial units as well as apartments in Hallmark House, the landmark 15-storey post-modernist building on Sivewright Avenue that was re-designed by British architect David Adjaye. Brian Roberts, chief executive of RMH Property told Monyeweb that while the buildings will have new owners “the property managers stay in place and the leases will be transferred to the new landlords after the auction, as is typical with any property sale”. Stuart Thomson of the MCA says the auction is an exciting opportunity for Maboneng to grow under the ownership of multiple parties, rather than being controlled by a single developer. Russell Grant, founder of The Bioscope cinema, is one of many Maboneng business owners who also see the sale as a positive move that should finally bring an end to long-running frustrations and confusion about the future of Propertuity’s buildings and its plans for the area.